Every Mutual Fund scheme has an investment objective and is managed by a designated fund manager, who is responsible for the fund performing optimally to achieve that objective. This performance is affected by the decisions that the fund management team takes, as well as twists and turns in the market, either equity or debt. Typically, all fund management teams have a process in place that dictates the choice of securities in the portfolio. And it is the performance of these securities, in varying market conditions, that finally dictates the scheme’s performance. Fund management teams make best efforts to take the right decisions based on price, quality, risk, financials, news flows and economic developments. A team that possesses sound skills, strong processes and relevant experience is bound to do well. 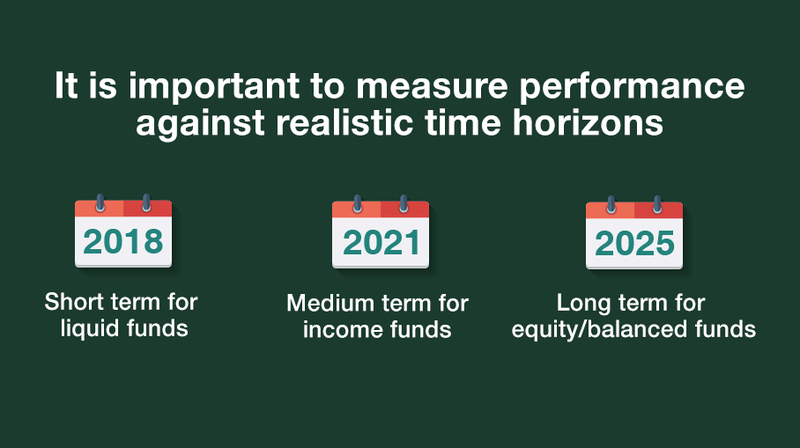 It is however important to measure performance against realistic time horizons – long term for equity funds, medium term for hybrid funds or very short term for liquid funds.